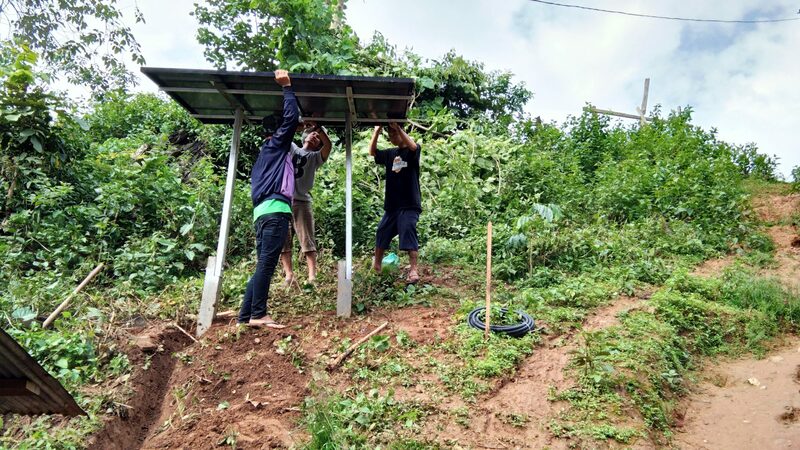 The installed solar power will benefit over 240 students by providing them with a safe living and learning environment. 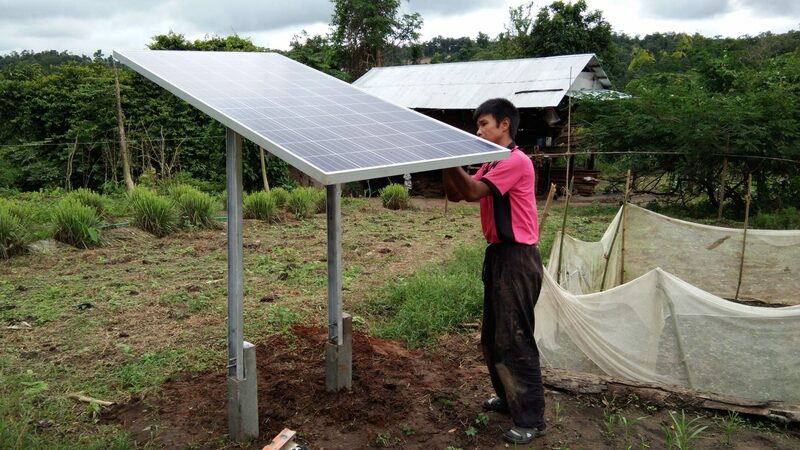 In July 2018, Track my Electricity enabled installation of solar panels for two additional schools in Klee Moe Kee and Mae Poe Kee in Karen State, Burma. 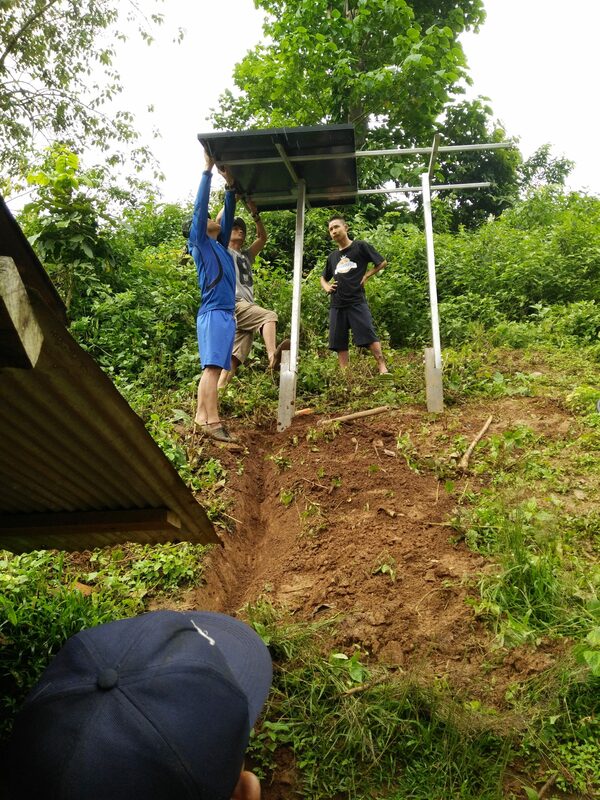 These solar projects were funded entirely by customers of Track my Electricity such as Norges Arktiske Studentsanskipnad, Breeze AS, Mitthem, SKIFU and support from Danish schools- Gladsaxe and Københavns Åbne Gymnasium. 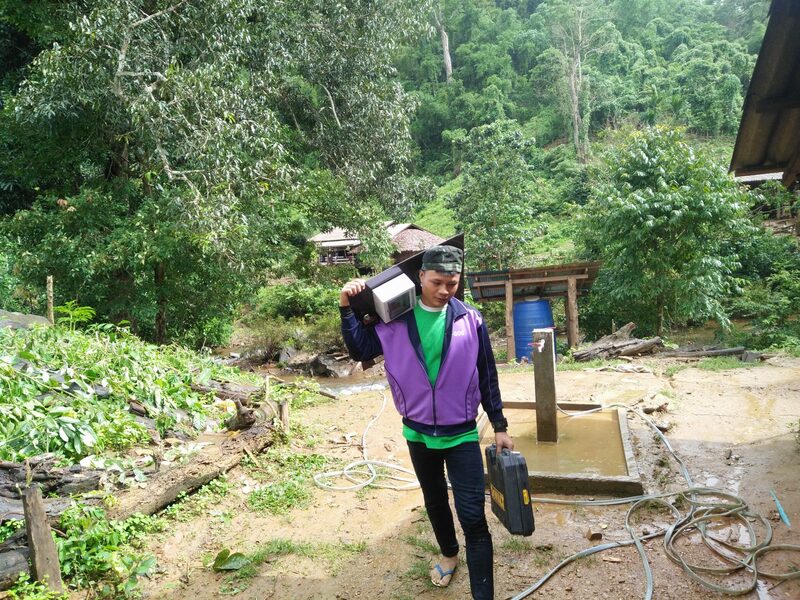 These schools have never had electricity before as they are located remotely in the jungles between Thailand and Burma. 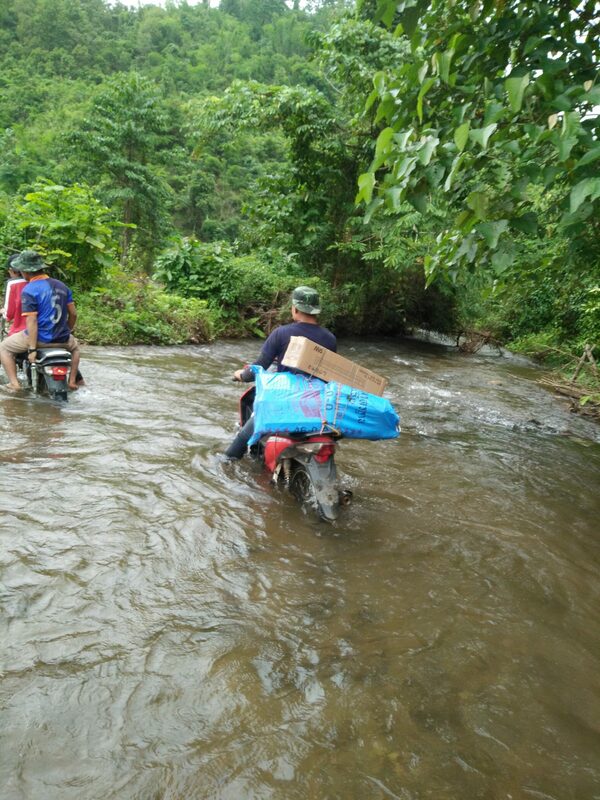 Transport of materials to these areas is generally quite tricky as cars and trucks cannot travel all the way there. 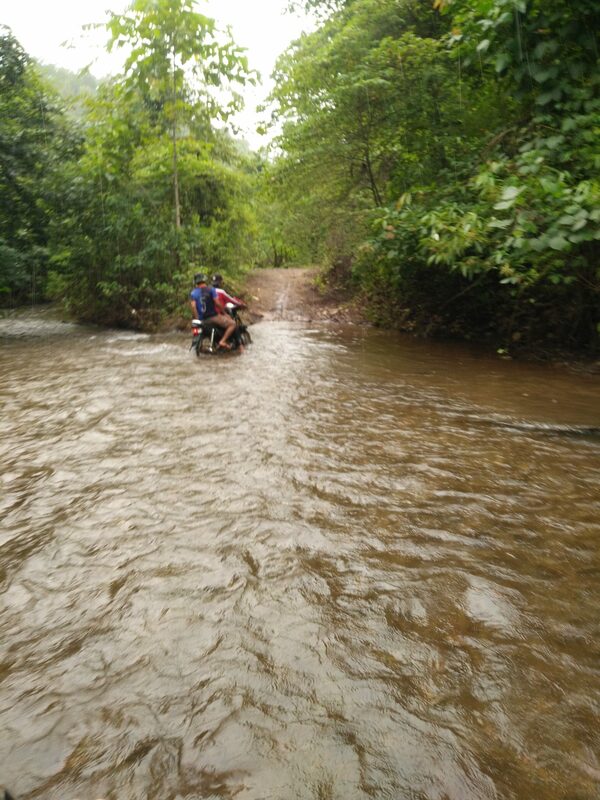 But since this installation rolled into monsoon season, the entire operation was quite treacherous as motorcycles had to drive through flooded areas and the rest was transported through boats and by foot. 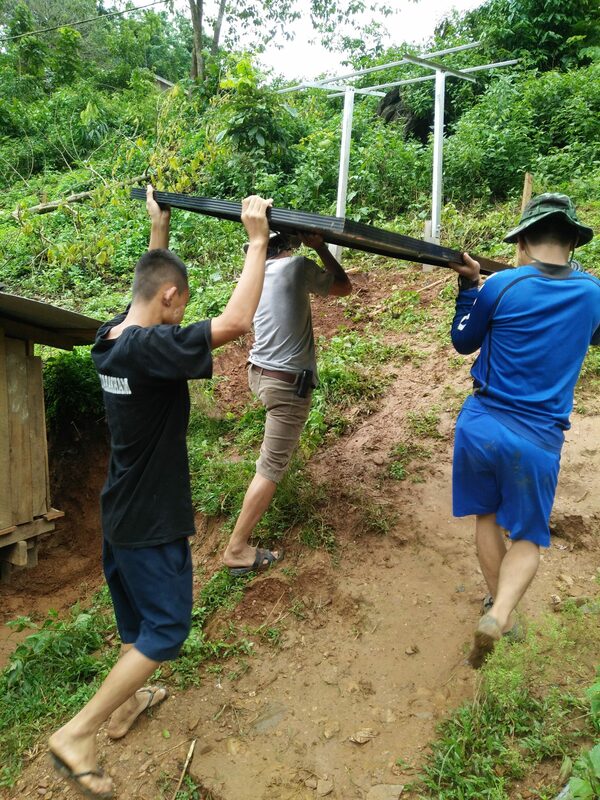 All the efforts were worthwhile in the end when the students and headmasters at both the schools were able to access power for the first time! 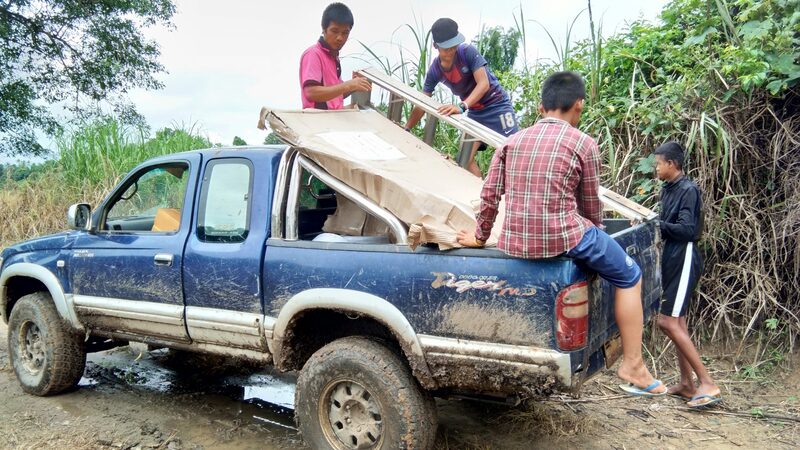 In rural Karen state, not every village can afford to have a school or even has access to teachers or school supplies. 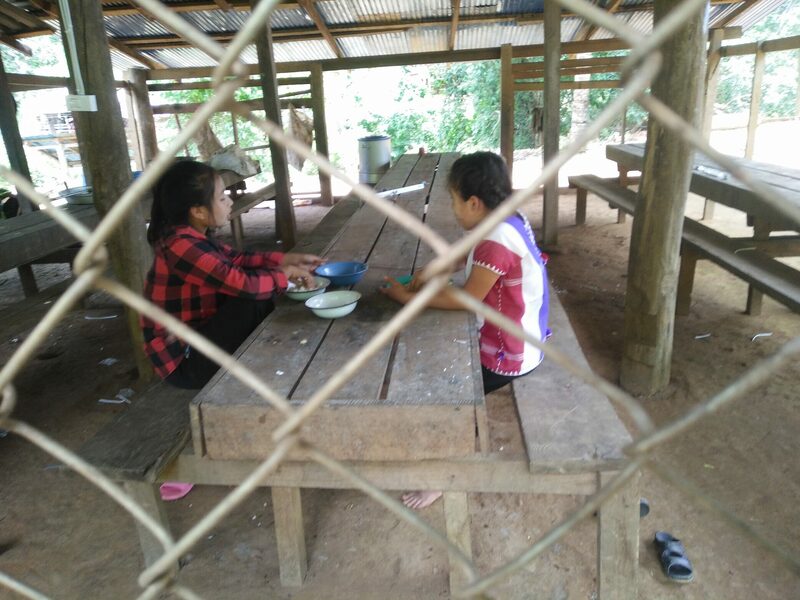 This is why it is essential that villages like Klee Moe Kee and Mae Poe Kee have dormitories in addition to their classrooms. 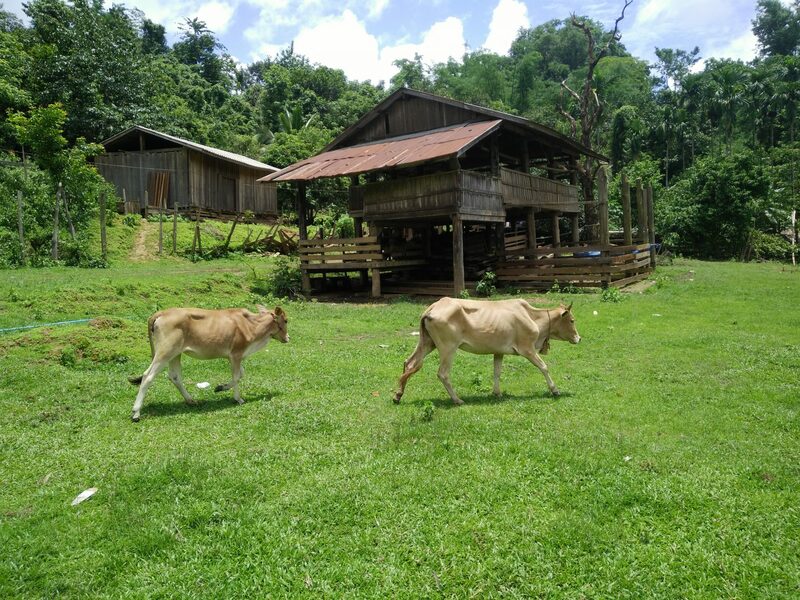 The Klee Moe Kee and Mae Poe Kee schools not only serve the local community but surrounding villages as well. 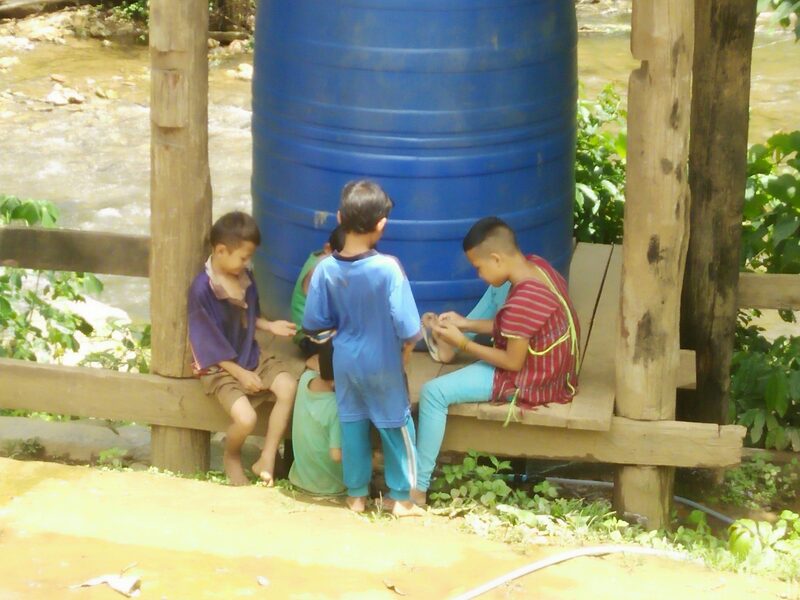 There are little educative opportunities for children growing up in villages without schools. 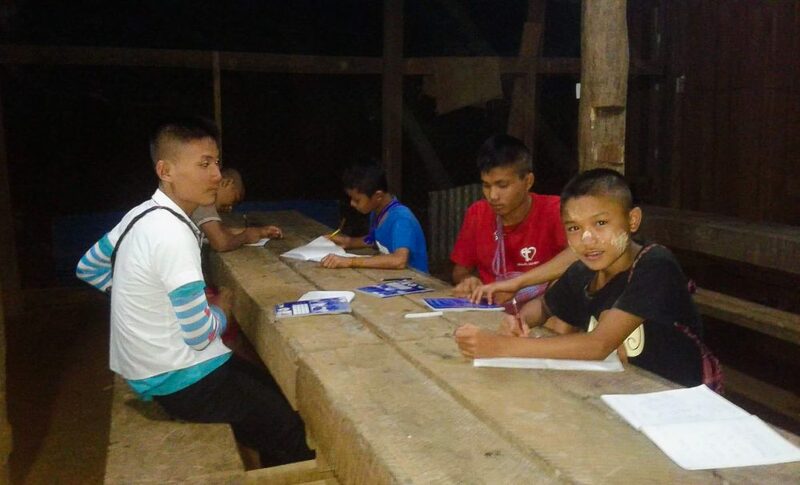 The children from surrounding villages will leave their homes in June and stay in the dormitories with their fellow classmate until March, when the school year ends. 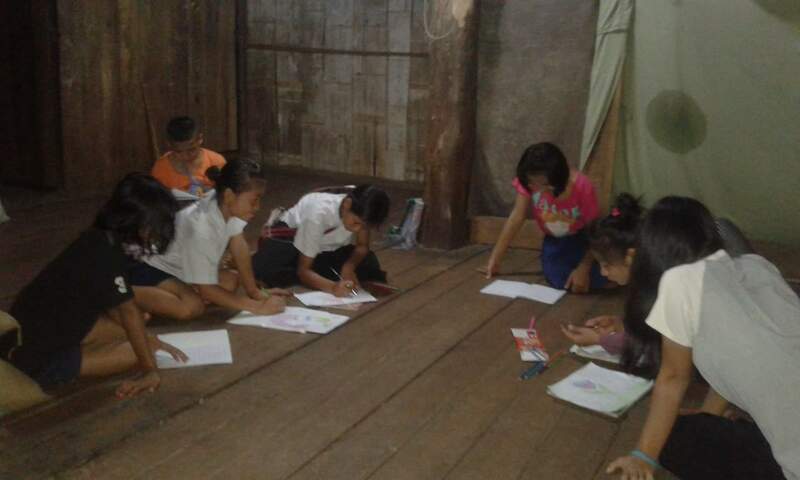 During the school year they study Karen, Burmese, and English languages as well as math, hygiene (health), and social studies. 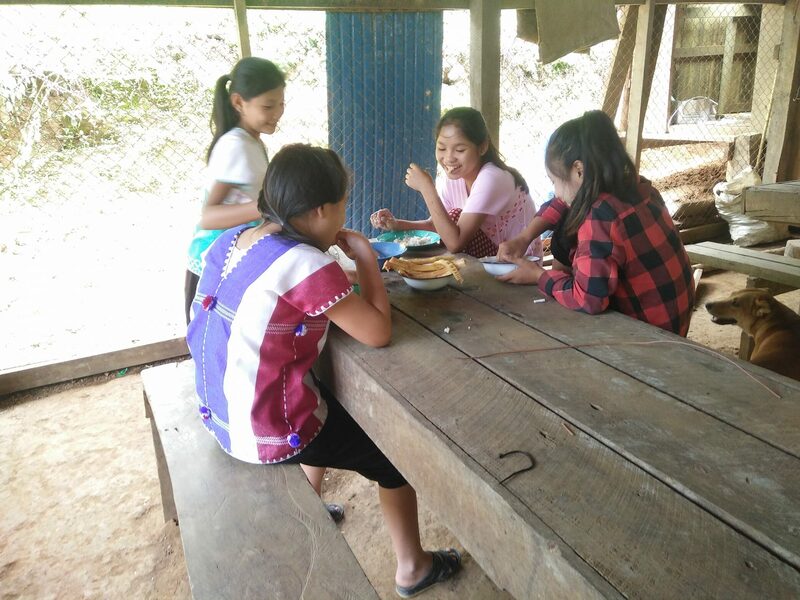 The students are dedicated to their education despite the minimal accommodations (they mostly eat rice, fish paste, and vegetables for breakfast and lunch) as they know that their knowledge is essential in securing a higher paying job than being a farm laborer. 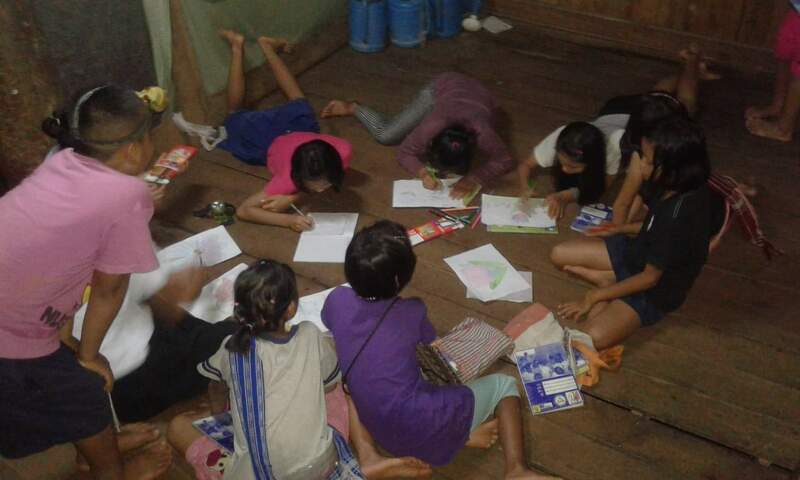 Since many students have siblings and not all of them are able to attend school, families hope that the child attending school will be have a successful future and be able to support their parents as well as nieces and nephews. 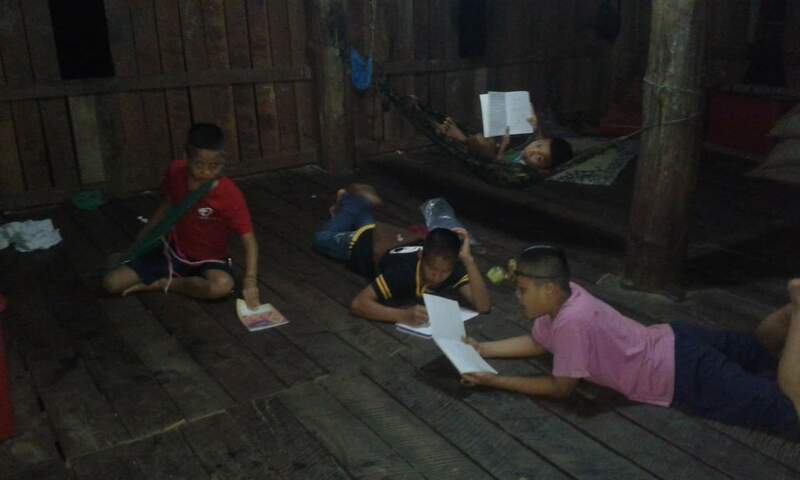 These dreams of a better future fuel a dedication to education that is admirable. 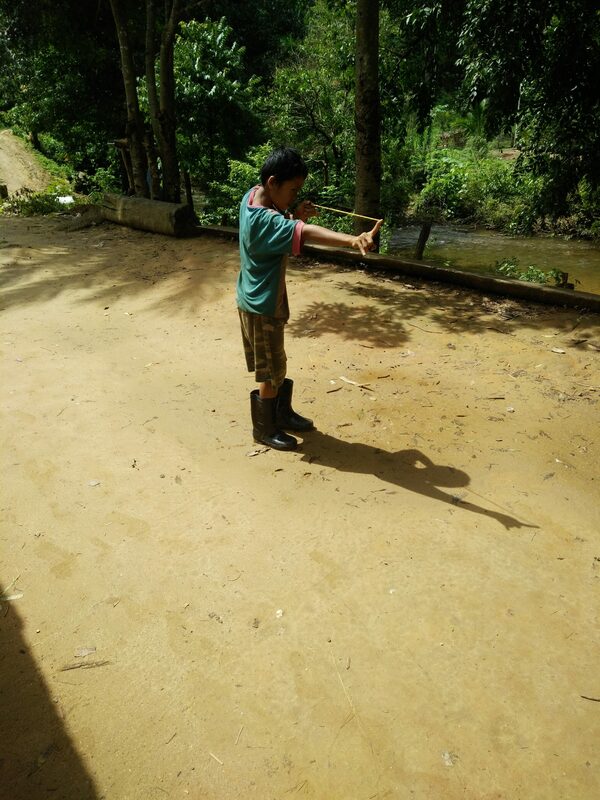 However, their ability study is often impeded by the simple fact that they do not have sufficient lighting in the evening time. 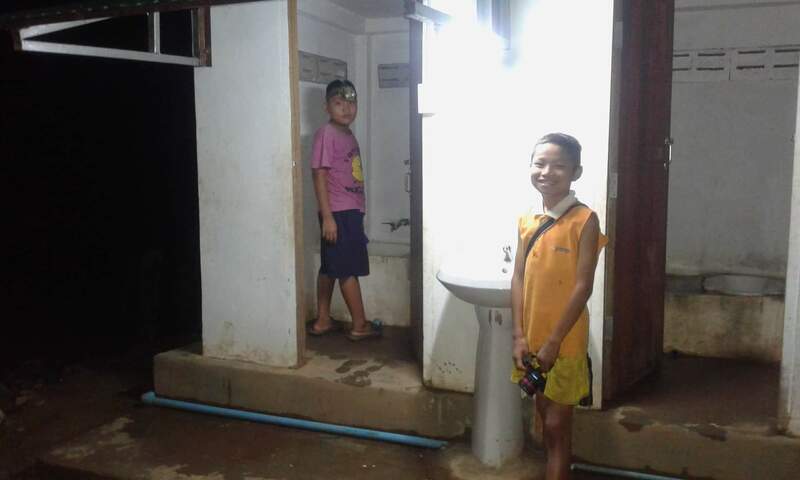 At night, students had to use candles or kerosene lamps as a light source, both of which cost money and are fire hazards. 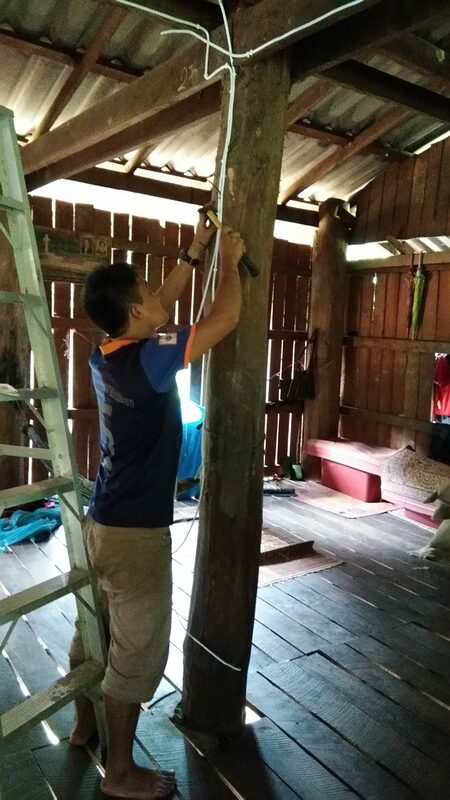 The risk of fire is a very serious threat as most houses, schools, and dormitories are constructed from wood and bamboo. 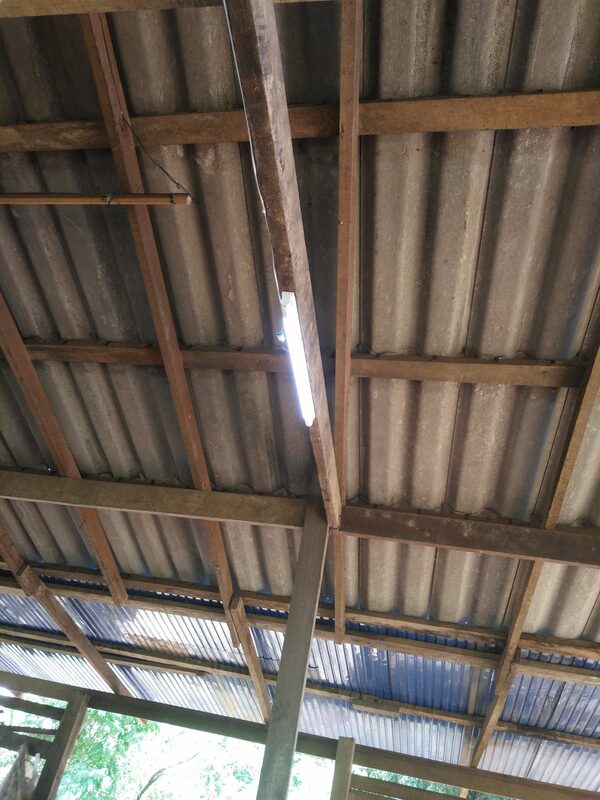 During the hot season, February to May, there is very little rain fall for months and structures are at heightened risk for fire. 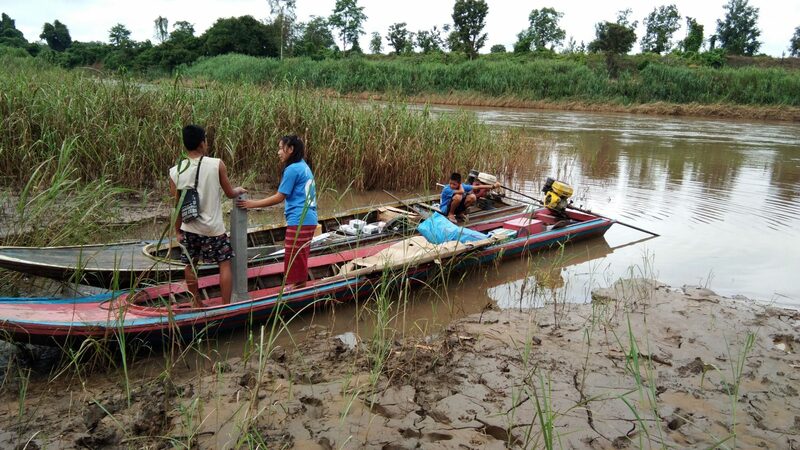 Every year, during this season, there are instances of villages homes or dormitories burning because of a candle or lamp that was knocked over. 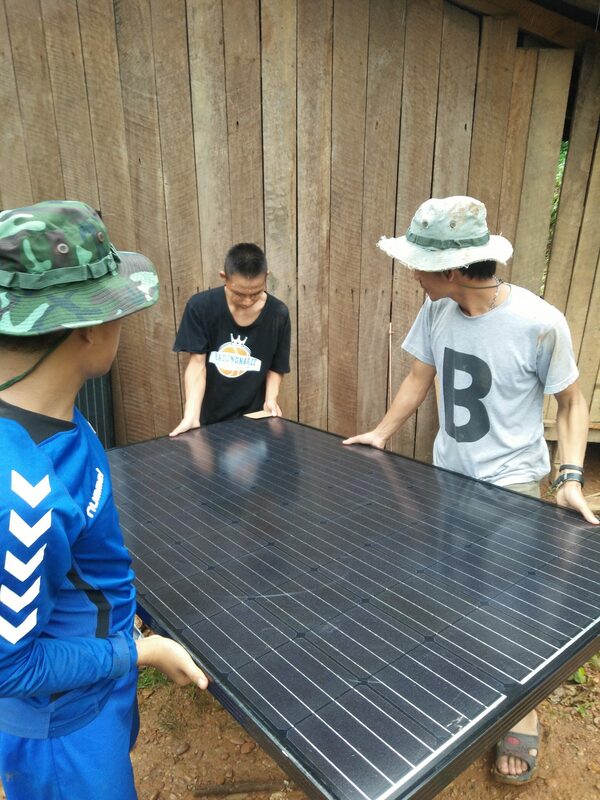 This is why installing solar power in the Mae Poe Kee and Klee Moe Kee school compounds not only improves the student’s learning environment, but also provides a safe living environment. 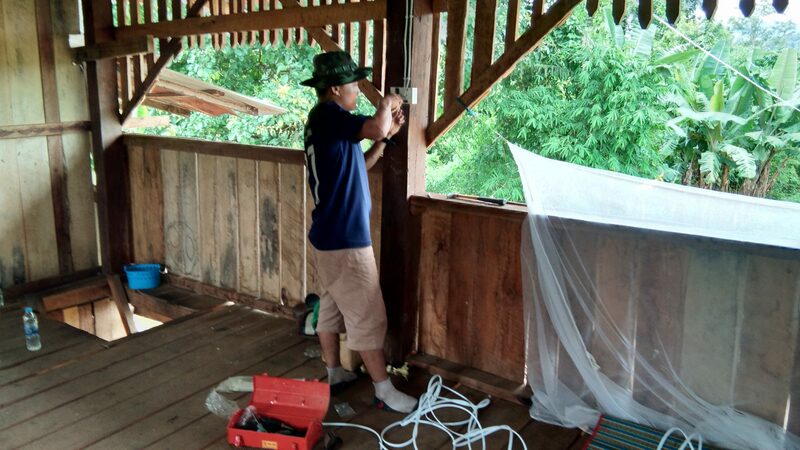 During the examination period, the need for light is even more important. The students study for weeks in order to pass the rigorous exams. 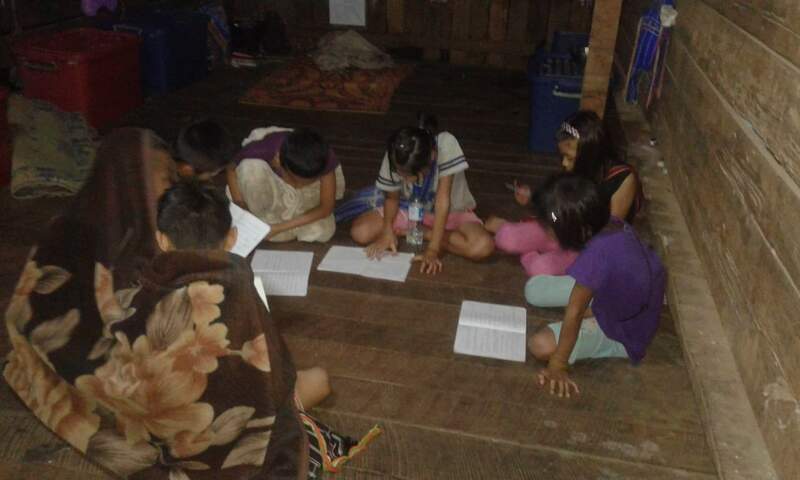 Often, a single candle lights the books of several students and they must go to the teacher’s house or local church or monastery to access them. 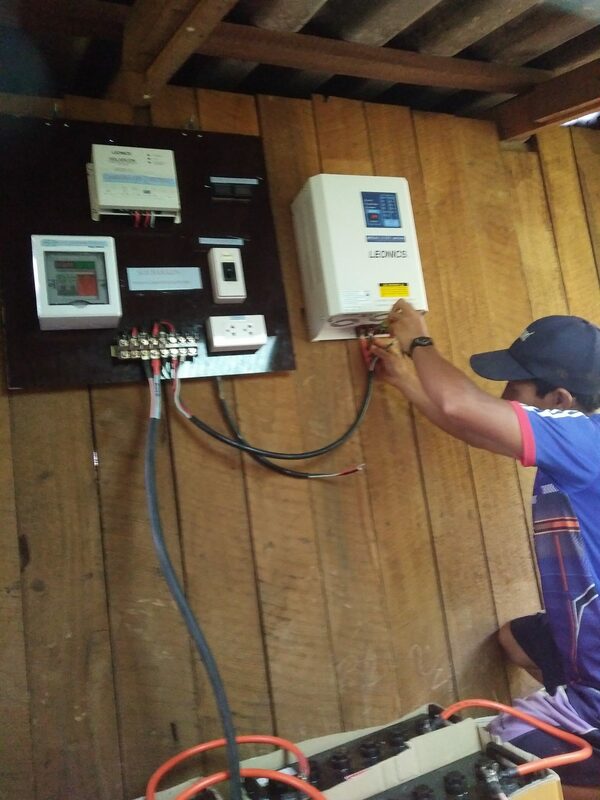 By providing electricity to Klee Moe Kee and Mae Poe Kee schools, student can safely study in the comfort of their dormitory and do not have to struggle with other for access to light. 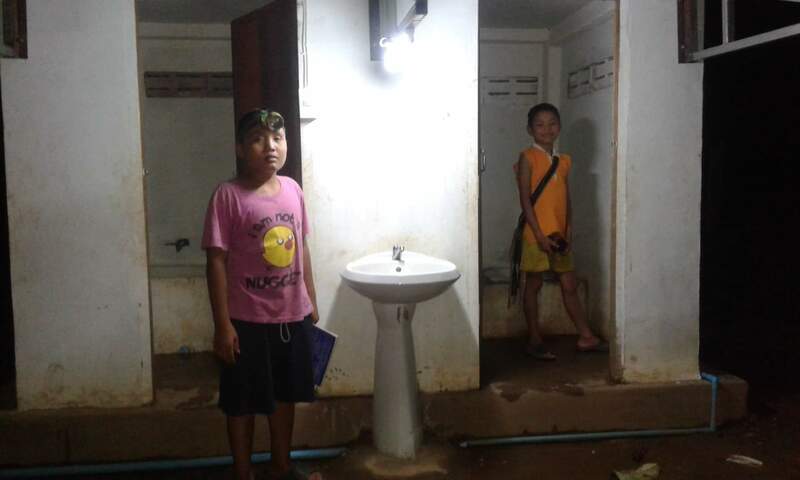 These students in rural Karen state already face many life challenges, lighting does not have to be one of them anymore. 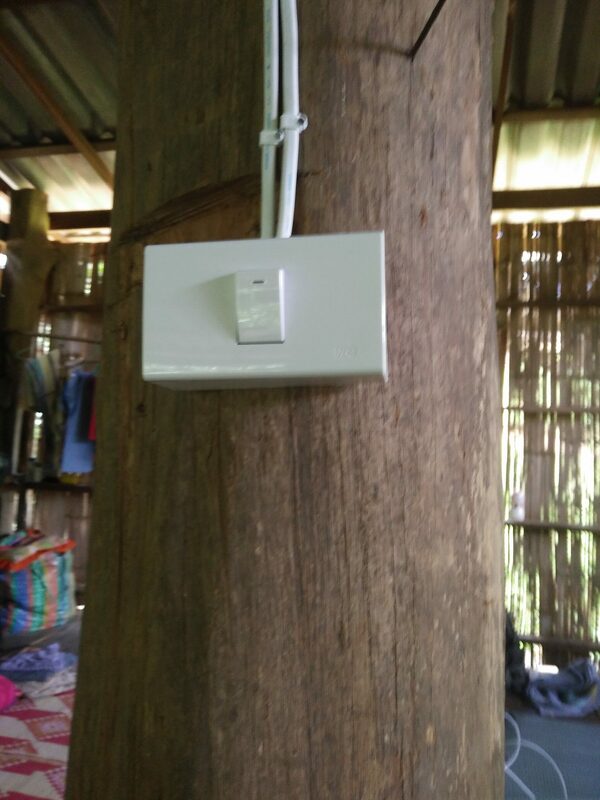 The installation was carried out by Solbakken, our NGO partner on-ground in Thailand/Burma, and marks the completion of this project. 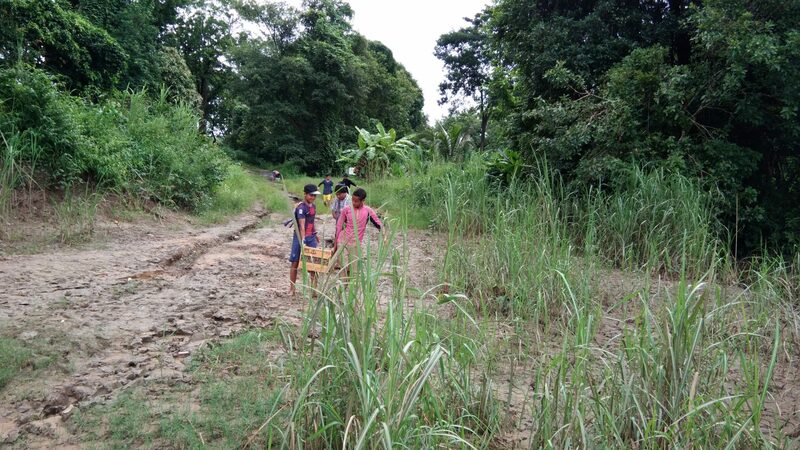 Please scroll through the photo gallery below to view the images from transportation, installation and the final outcome at these two schools.